Ten ‘Cornish’ best for the Christmas table. Giving traditional Christmas Day dining a proper Cornish twist with unique food and drink specialities from the best local producers. ‘Ninemaidens Mead’, Lanner, TR16 5TQ. 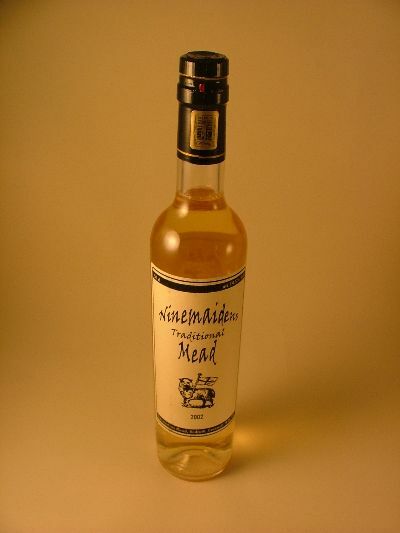 Mead, a sweet, honey-based alcohol and, was not invented in Cornwall, but has been strongly associated with the Duchy. Ninemaidens produce five different varieties: ‘traditional’, with a strong heather honey nose, and ‘spiced’, which makes an invigorating winter warmer. These could be just as easily drunk as a sweet desert wine. ‘Apple’, ‘blackcurrant’ and ‘redcurrant’ are fruity, slightly drier but equally delicious. Honey is sourced from hives across West Cornwall and the best locally sourced ingredients are added during the brewing process. For Christmas it can be warmed, mulled or added to a spicy winter punch. Alternatively, try their new ‘Gwires’, crystal clear distilled mead with a floral, honeyed bouquet; a great Cornish alternative to classic single malt.